TULARE COUNTY – The results have been in for nearly a month now. And while runoffs are getting ready to go outright winners are ramping up for their job to be. At least that’s the case for District 4 Board Supervisor elect Eddie Valero. 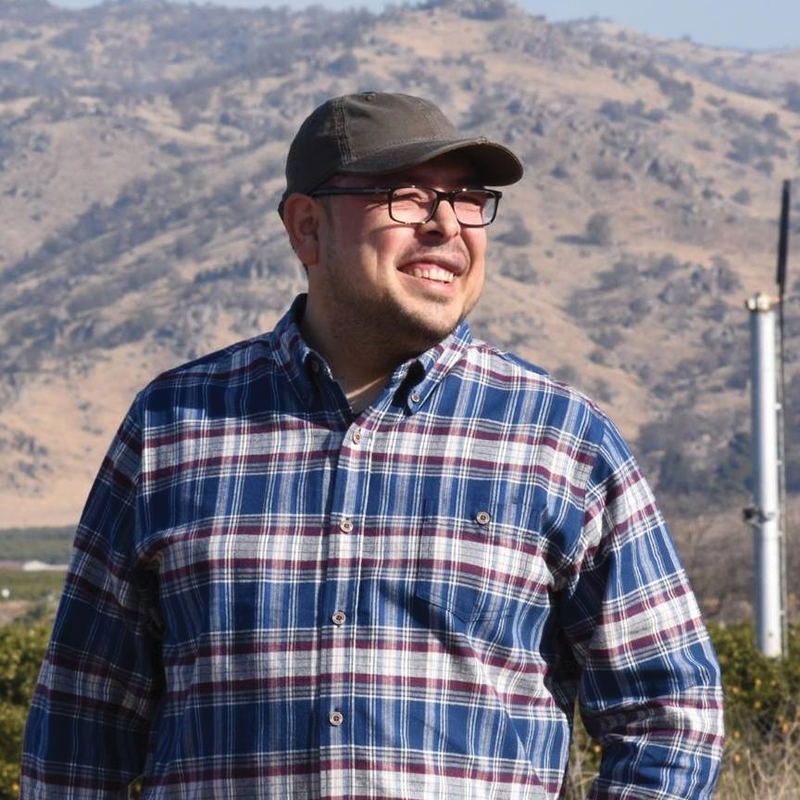 Having taken the district with a stark 54.69% of the vote in June Valero has secured his seat as supervisor, and the first one from Orosi since 1984. Since that time the seat has been held by residents from Dinuba, a city of nearly 24,000 people today. Dr. Kuldip Thusu, Dinuba’s current Vice Mayor had the most political experience entering the race. He was elected in 2014 and has been the CEO of Universal Biopharma Research Institute Inc., a clinical testing and research company in Fresno, since 1998 as well as CEO of Alta Health Clinic since 2001. Thusu, who is not a medical doctor, has a Ph.D. in experimental medicine and holds a bachelor’s in biophysics, and two master’s degrees in biophysics and clinical chemistry. However, when voters went to make their choice, only 33.45% chose Thusu. While a native from Cutler-Orosi, Valero had some significant credentials as well. He graduated from high school at the top of his class and a year early to study at several Ivy League schools. While in high school, he was selected to attend the Junior Statesman of America program at Yale University. He graduated from Cornell University with a master’s degree in education. During his undergraduate studies, Valero attended Princeton to study International affairs and domestic policy on education. During his post-graduate work he studied conflict resolution at Georgetown. After his education, Valero returned home only to discover a significant achievement gap between young men and women at Orosi High School. Since being elected to the Cutler-Orosi Joint Unified School District Board of Trustees in 2012, Orosi High School’s graduation rate has improved from 82% to 96%. In 2013, Valero founded the Cutler-Orosi Young Men’s Initiative, a non-profit that provides counseling, mentoring, and employment opportunities to fatherless young men. Valero remains the executive director of the organization and recently expanded the program to Avenal in Kings County. He also teaches in the School of Education at Fresno Pacific University. It wasn’t until last year did Valero decide to throw his hat into the ring for Board Supervisor, but once he did there was no turning back. “I did the work that needed to be done to go to every community that’s in my district…and show the hope and change that I can bring to these communities… and showing that I was there with my community with support from my volunteers,” Valero said about the positive feedback he received in the election. Evidently Valero’s “team work makes the dream work” philosophy propelled his campaign to victory this summer, and he is not wasting a second as he is already making the rounds in his district to learn what communities are struggling with. A large district on the north end of the County encompasses Dinuba, Cutler-Orosi, Woodlake, Traver, Goshen, Yettem, Seville, London, Sultana, Monson, Delft Colony, Badger as well as the northern portion of Visalia. Already Valero has toured Woodlake with city manager Ramon Lara in addition to meeting with Visalia city manager Randy Groom. He has also visited with the Ivanhoe town council, and clearly has a significant presence in Cutler/Orosi, the unincorporated community of nearly 20,000 residents. Through his time touring Valero said he was still digging into the specifics of issues and he knows people are hungry and ready and really want to see the collaboration between city and county and bring local government to the people he will be representing. One way bringing people in the communities into the fold is by holding budgetary workshops. He says the effort will hopefully make residents feel as if they are stakeholders in the process. Which he adds is a responsibility of the elected. “We as elected officials need to be able to work out the nuances of budgets and relay that information of the greater community. I will do my job and my diligence to communicate that to the community,” Valero added. One job Valero is already beginning to anticipate is being in charge of the County’s StepUp program. The program is targeted toward at-risk youth in the county, providing a host of programs for kids to positively contribute to their communities. Valero sees the program as an opportunity to expand on what he has already done around Cutler-Orosi. Part of the reason he feels his campaign was so successful was in large part due to the improvements in the school district. Valero noted the improvements to the football stadium and track, noting kids and athletes were forced to run on a dirt track since the stadium’s construction. Now they have an all-weather track and renewed stands with a capacity to seat 3,000 people in addition to renovated concession stands and bathrooms, thanks to an $18 million bond that Valero says passed with 70% support. Valero said when he was walking neighborhoods and knocking on doors during the campaign people were beginning to buy into his vision now that there have been some tangible results. “I think a lot of people are seeing the changes going on around Orosi…before we were seen as a community with a lot of crime and now people can see what disadvantaged kids can do in a community,” Valero said.